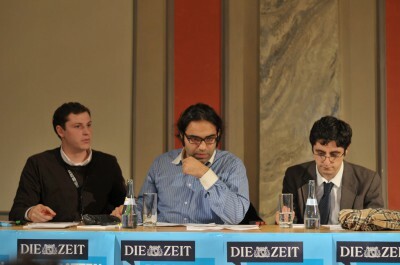 Debattiergesellschaft Jena elected a new executive board. Jonathan Scholbach is the new president, Johannes Agermissen his deputy and the treasurer is Martin Pötzsch. Congratulations and good luck with your work! We're sorry: This article is not available in English. Please read the German version of this to learn the details about the regional championships, this on in Jena. Simeon Reusch, VDCH vice-president knows the answer: South: Debating soieties from Switzerland, Austria, Baden-Württemberg and Bavaria Central: Deb socs from Hesse, Rhineland-Palatinate, Saxony, Saxony-Anhalt, Saarland and Thuringia North: Deb socs from Berlin, Brandenburg, Bremen, Hamburg, Mecklenburg-West Pomerania, Lower Saxony, Northrhine-Westphalia und Schleswig-Holstein Chief adjudicators for the tourneys from 21 to 22 April are: Marcus Ewald and Jan Lüken, for the South, to be held in Ingolstadt Benedikt Nufer and Michael Saliba, for the North, to be held in Kiel Pauline Leopold and Clemens Lechner, for the Center, to be held in Jena Language of debate is German, all competitions will be held in the format of BPS. Please read the German version of this article to learn more on how Florian Umscheid saw the ZEIT DEBATTE tournament in Jena. This article is not available in English. Please read the German version to learn about how the prelims of this tourney were spread all over town - in shared flats.